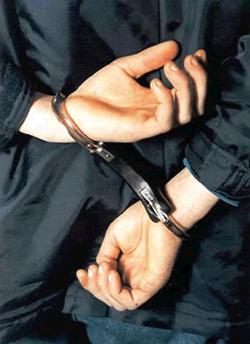 Call on Albany Bail Bonds when you or a loved one has been arrested and need release from jail. We are just a phone call away at Anytime Bail Bonding, Inc.’s Albany Office. Call us today at (229) 435-3585, or visit our office located at 200 Flint Avenue Albany, GA 31701. We are ready to help you get out of jail right away. If your loved one has been arrested and booked into jail, you may be able to start the bail bonds process to bail them out quickly. If arrested on a serious crime, a bail hearing will be scheduled where a Judge will determine whether or not your loved one will be eligible to post a bail bond. If the Judge discovers that your loved one does not have a long criminal history, has arrived for past court appearances, has ties to the community and is not a danger to society, bail is likely to be granted. Bail amounts will vary depending on the criminal charge. You and your loved one will have the option of hiring a bondsman with Albany Bail Bonds to help secure their release from jail. This is a more affordable option than having to post the full amount of the bail with the court. The bail bondsman will charge a non-refundable fee of between 12 and 15 percent of the total bail amount, which may include additional fees, and they will be responsible for ensuring your loved one attends all required court proceedings until disposition of the case. You will be an integral part of this team as a third-party indemnitor, who will guarantee the bail bond for your loved one. When hiring a bail bondsman, please be prepared to provide the following information on the defendant: date of birth, arresting charge, jail being held in (county, city, state), arresting agency, booking number and bail amount. If you decide that you wish to hire a bail bondsman with Albany Bail Bonds to help your loved one in this time of need, they will secure collateral from you to further secure the bail bond. Often real estate is taken as collateral, but bail bondsmen can also accept stocks, bonds, jewelry and cars as collateral as well as accessing bank accounts and credit cards. This will be returned once the bail contract has been fulfilled. We can explain this process in detail upon signing of a bail contract. Representatives of Albany Bail Bonds will contact the jail on your behalf and arrange to have your loved one released under their supervision. It is important that we be able to contact you and/or your loved one during the bail bonds process and until disposition of the case. We will contact you by phone several times throughout this process to confirm court dates etc. and to go over important information about the bail bond. Your loved one will have terms and conditions that they will have to agree to before they can be released from jail and as outlined in the bail contract. So if you or a loved one need help getting released from jail, call Anytime Bail Bonding, Inc.’s Albany Bail Bonds for assistance at (229) 435-3585.